LasVegas2005plusafewHOME -- Bellagio Gallery of Fine Art, Las Vegas. 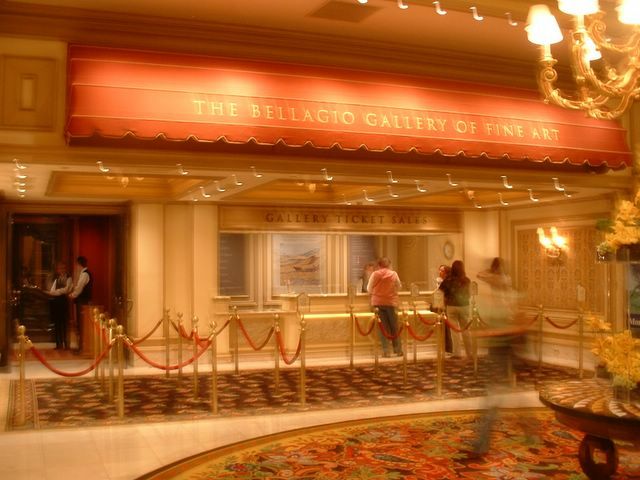 Located in the Bellagio Hotel, the Gallery is home to some of the world's finest painting. November 2005 brought impressionist history including several Monets, Van Gogh's and Reniors. Cost is $15, a true bargain especially for those who have not visited Europe's fine museums housing masterwork art.